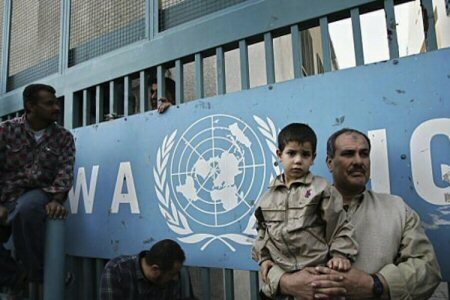 The United Nations agency for relief and work with Palestinian refugees (UNRWA) called, in an urgent meeting held in Amman, to announce the state of reduction to all expenses and services provided for Palestinian refugees, waiting for a firm decision of the U.S administration regarding their intention to halt funds to UNRWA. Since the beginning of this year, UNRWA suffers a severe financial deficit of about $174 million, which may increase in case of halting funds or reducing it. The meeting, chaired by Commissioner-General Pierre Krähenbühl and the directors of the five regions (Jordan, Syria, Lebanon, the West Bank and Gaza Strip), discussed the implications of US decision on more than five million Palestinian refugees, including 2 million refugees in Jordan, informed sources reported according to Al Ray. UNRWA considers several possibilities, if the U.S decision of freezing aid entered into force, which are either to continue abstention policy, or the suspension of some services, or continue to search for alternatives. The decline in donor countries’ support for UNRWA threatens the level of services provided to Palestinian refugees. The education sector is the hardest hit, while Jordan will face more burdens and pressures as the largest host country for Palestinian refugees, sources said.